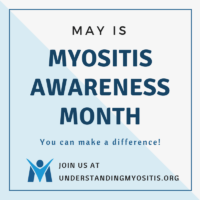 Myositis Awareness Month 2018 is almost here! See our plans and how you can get involved. 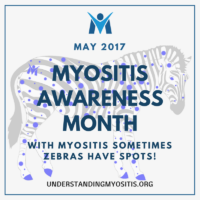 Theme: With Myositis Sometimes Zebras Have Spots! 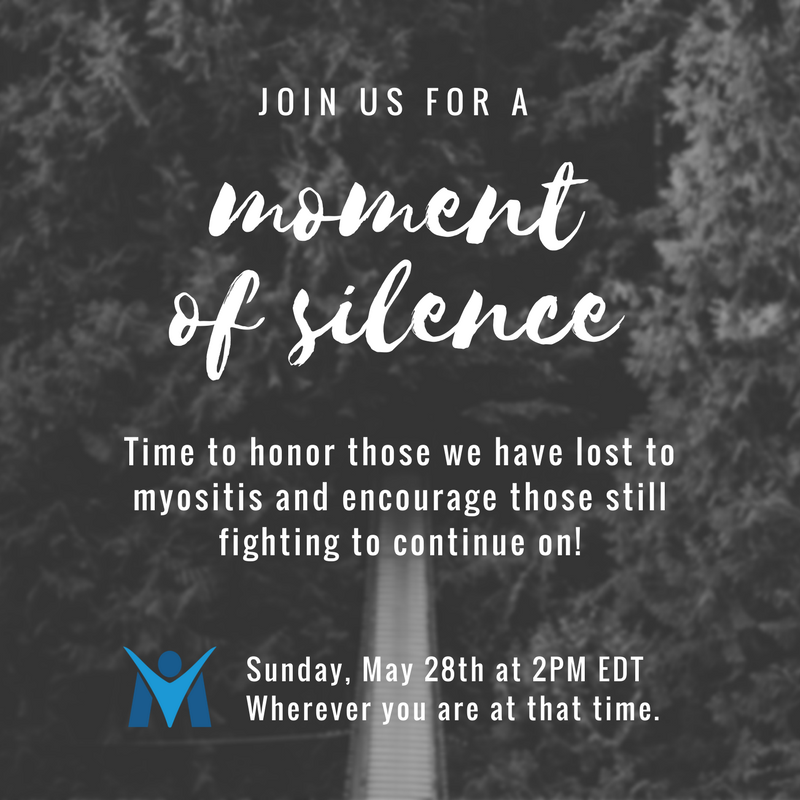 A moment of silence was observed on Sunday, May 28, 2017 at 2PM EDT. 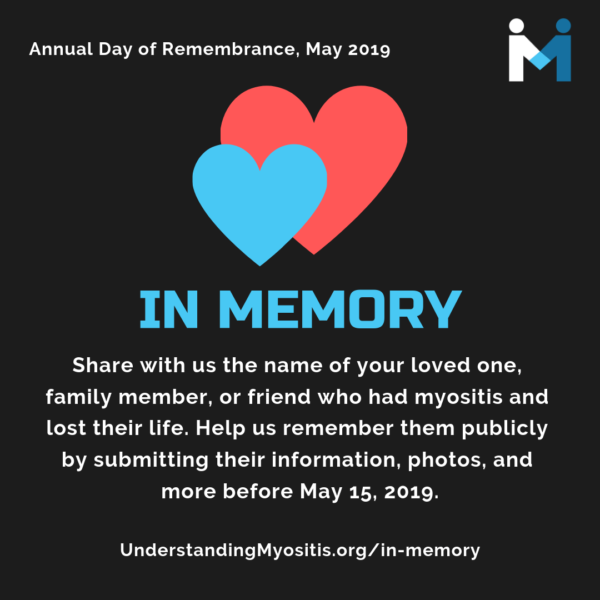 Myositis Awareness Month is also a time to honor and remember those we have lost and to encourage those still fighting. 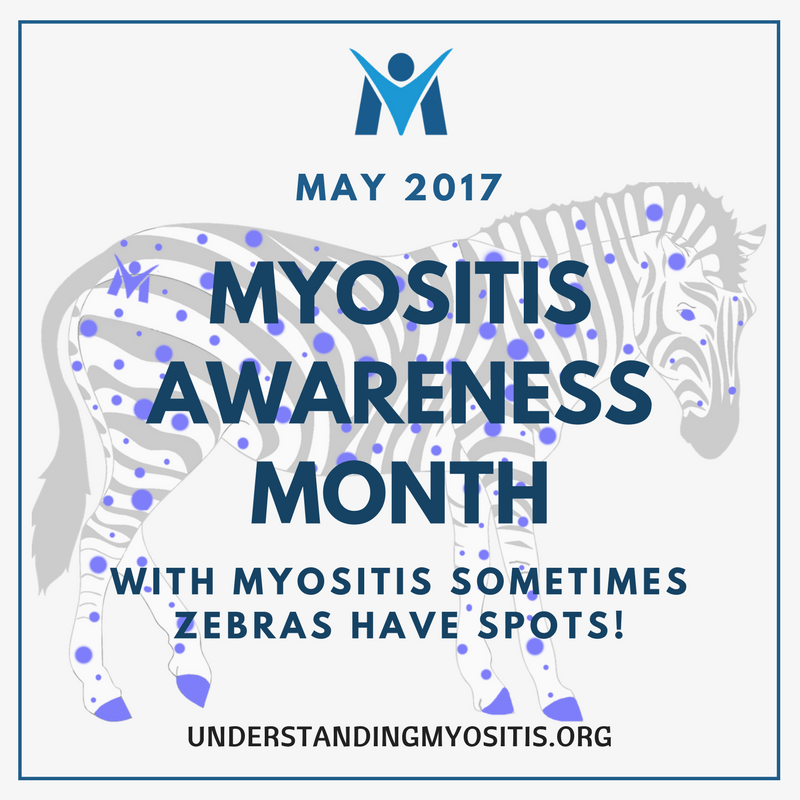 The 2017 MSU Myositis Awareness Month Theme is “With Myositis, Sometimes Zebras have spots!” We want to raise awareness about how the experiences, symptoms, and complications of this rare disease are different, even among the patients with the same disease. The Zebra is the recognized symbol for rare diseases. This campaign features a Zebra with spots. 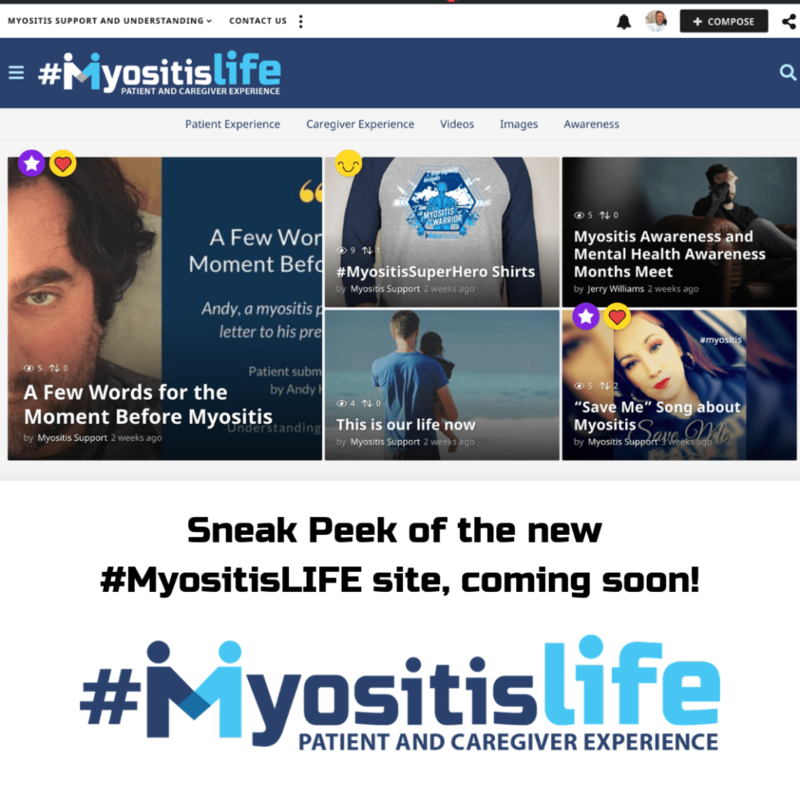 The spots indicate unique aspects of how patients and caregivers experience myositis in many different ways including complications, hardships, how it affects everyone surrounding the patient, the creativity of patients in creating and building their own assistive devices, etc. Doctors are now being trained when you hear hoof beats, look for zebras (rarities), instead of horses (common ailments); when in the past, they only looked for the most common ailments. 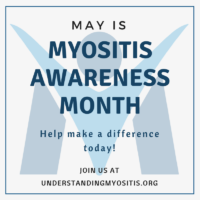 Through our public education and support of our members, plus our financial assistance program, MSU helps patients deal with the rare “spots of the zebra” called Myositis. 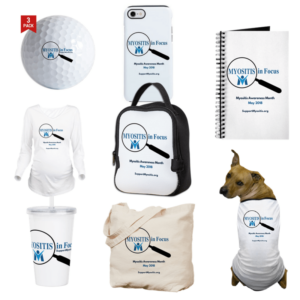 We will be releasing a “spots” sheet that includes talking points to go along with our featured theme and when wearing the t-shirts and hoodies we sold prior to Awareness Month that are sure to start conversations. 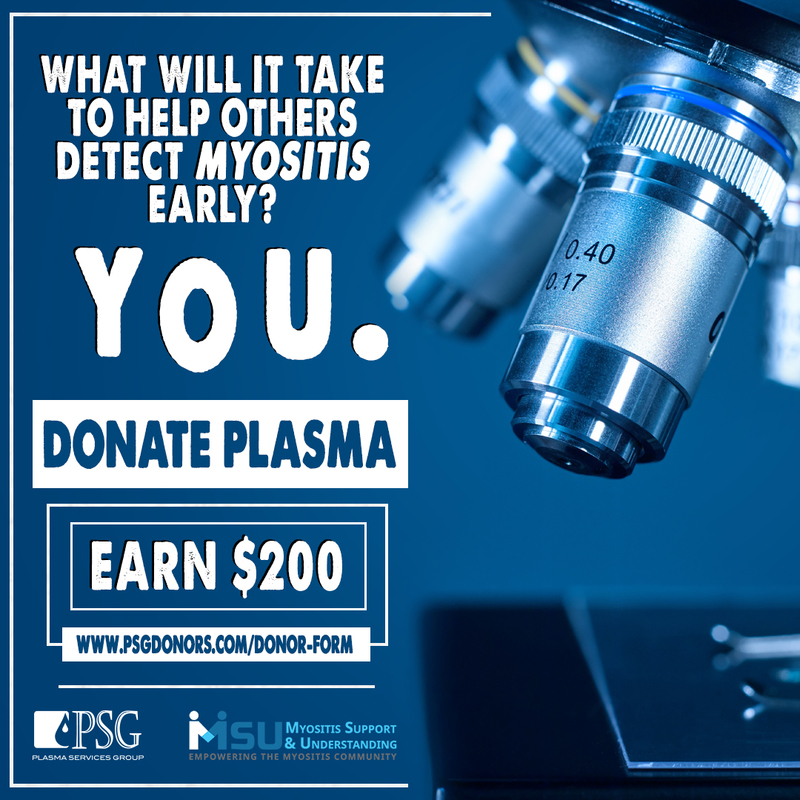 This year, we have made it really simple to create your own MSU fundraiser through our own Crowdrise campaign. You can then either create an account or simply login with your Facebook credentials. Then, share, share, share, share, and share on your social networks, via email, and any other creative ways to raise money. Your customized link can be found once you click on your name in the Team section. If you have any questions at all, please be sure to let us know! Happy Fundraising! NOTE: Please do NOT share in our Facebook support groups. For best results, sharing on ALL of your social networks a couple times a week is best. And, update your campaign a few times a week using the update tool. Simply visit our websites Donation page. Input the required fields at the beginning of the form. When you get to the section “Is this donation in honor of or in memory of someone?” select Yes. Then, you will see more available fields. The more information you can provide, the better. If you provide an email address then a message will be sent to that email stating you made a donation and it will include a custom message if you add one. If you do not know the email address, there is a field to enter a mailing address. If you provide this information, we will mail a letter containing the same information as the email would have provided. Complete the remainder of the donation form and you are all set! If you have any questions at all, please be sure to let us know! We appreciate your support! To use as your Facebook profile, simply click on the image, then right-click and choose “save as” or “save image as.” Each browser will word it differently. Then visit your Facebook profile and upload it to your profile for the Month of May! To use as your Facebook cover image, simply click on the image, then right-click and choose “save as” or “save image as.” Each browser will word it differently. Then visit your Facebook profile and upload it as your cover image for the Month of May! 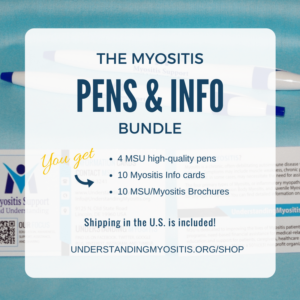 The MSU ‘Spots’ talking points sheet is a part of our campaign to explain how rare Myositis is and the different complications and ways it affects the patient and everyone in the patient’s life. Download and share this document with your friends and family members for maximum impact in helping to educate and raise awareness. Also if you purchased our Zebra shirts, they are bound to create conversation. 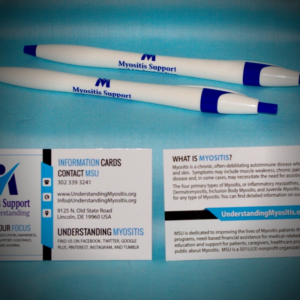 This sheet will be helpful for you when having those discussions and telling your story about living with myositis. 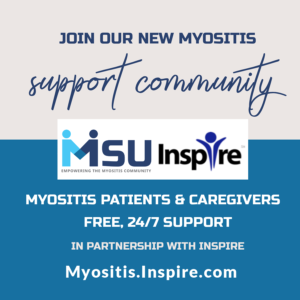 Take a look at the MSU Myositis Awareness Month Press Release. 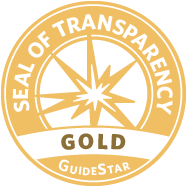 It provides an abundance of information about what we are planning for the month including education, awareness, a planning survey for your voice to be heard in helping move forward, events, and much more. We will be updating our Facebook page along with this page with more details as we move forward through the month. 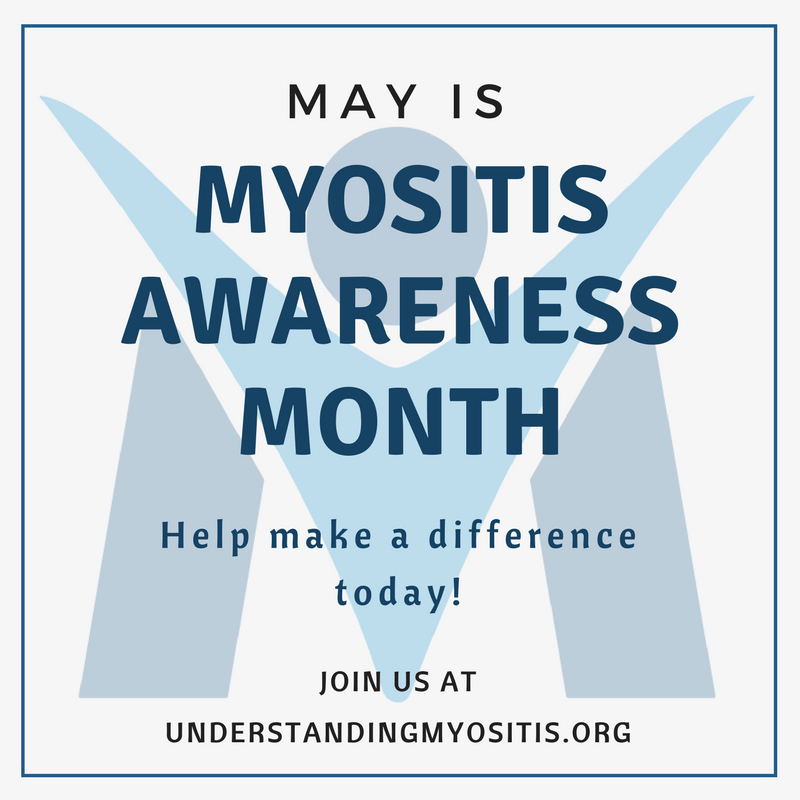 Sharing this press release is also a great way to ensure your family members and friends are a part of every aspect of what we are doing for awareness month and it will also help them to better understand myositis. 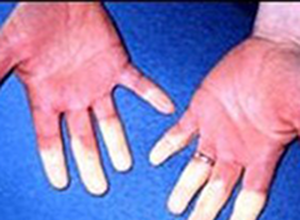 Are you an adult living with Dermatomyositis? 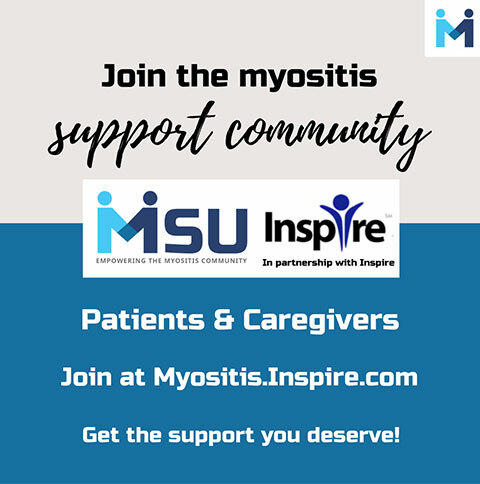 Investigators are seeking people with dermatomyositis to participate in a phase 2 clinical trial of the experimental drug IMO-8400. 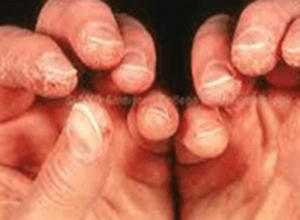 The goals of the trial are to evaluate whether IMO-8400 can be given safely and if it can improve DM-related skin lesions and muscle weakness. 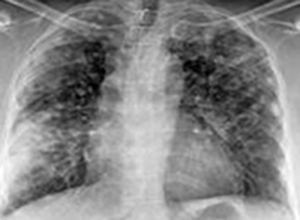 The biopharmaceutical company Idera Pharmaceuticals is the clinical trial sponsor. 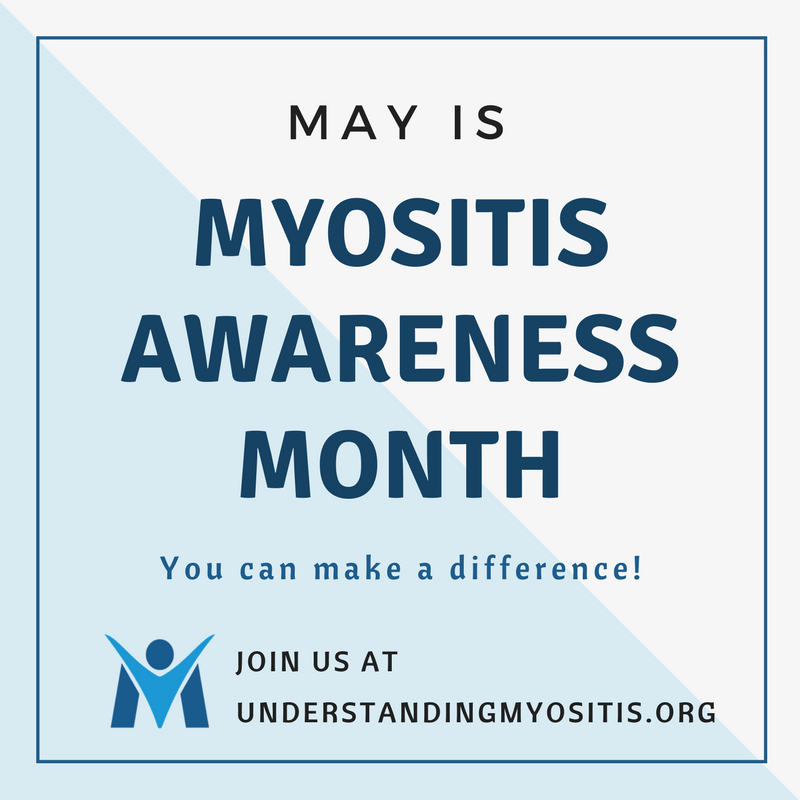 While the cause of dermatomyositis is unclear in most cases, it is known that ongoing inflammation triggered by the disease, over time, leads to destruction of muscle, skin and other tissues. IMO-8400 is designed to inhibit the activity of key regulators of the immune system, called Toll-like receptors (TLRs). By inhibiting TLRs . . . NOTE: Some eligibility criteria have changed and PIONEER is still recruiting. Jerry Williams, the Founder and President of MSU will speak at Idera on May 25th as part of our mission to educate. 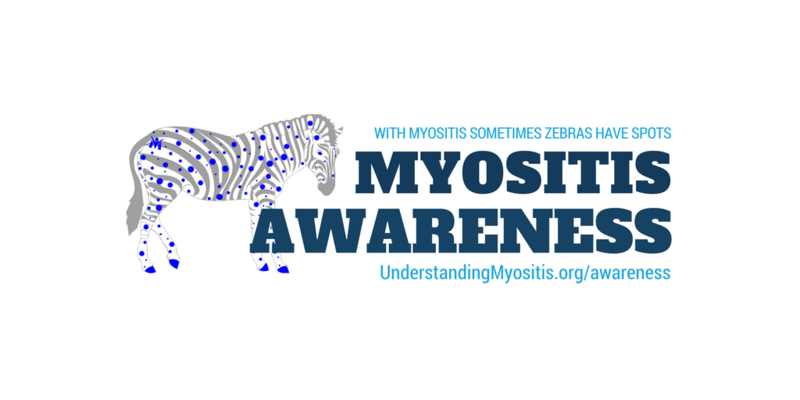 #PutaFacetoMyositis – We’ve invited members to share their own “Spot” stories of a difficult diagnosis, rarity, adaptation, they have made, or side effect of medication to be placed on an interactive Zebra graphic on our website. Strategic Plan Survey – MSU is committed to making its actions be a better and better reflection of its members. As such, we are asking our members to speak up and share their voice by participating in our strategic planning by filling out an important survey about our services and platforms, as well as where they would like to see us go in the future. 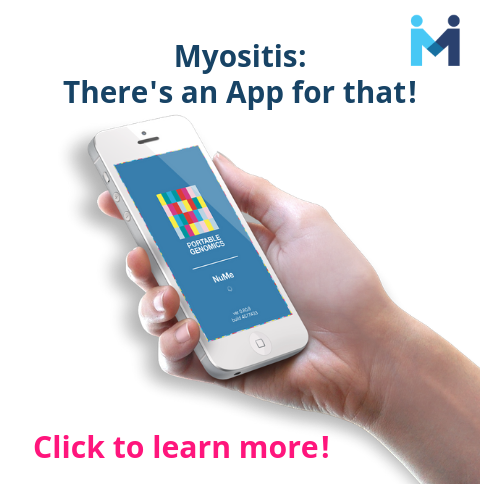 This will further help us #PutaFacetoMyositis and make sure we have accounted for all the “Spots” of myositis. Survey is now closed. Video Sessions – We have scheduled interactive video sessions to entertain, build community, educ8, and advo8 for ourselves. 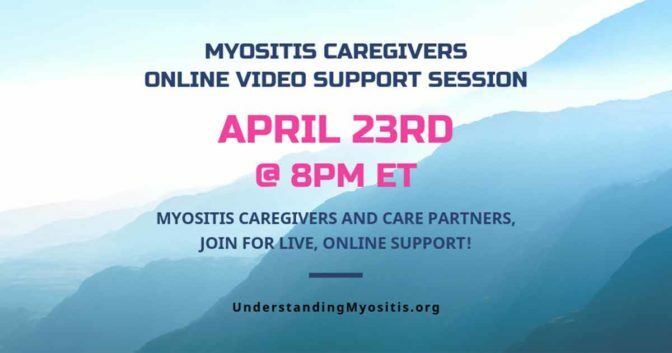 And, we are in the final stages of planning an “Exercise and Myositis” video education session with one of our medical committee advisors, Dr. Tae Chung from Johns Hopkins Myositis Center. Visit our events page for more. 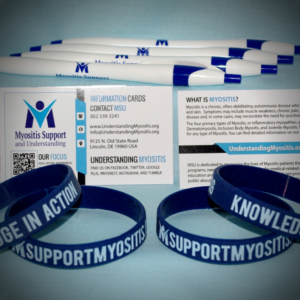 Social Media outreach – As always we want to increase awareness of myositis so we have again enlisted the Thunderclap tool. This helps us to multiply our reach exponentially. We ask that our members, and their friends and family members, add their social strength by joining the campaign. 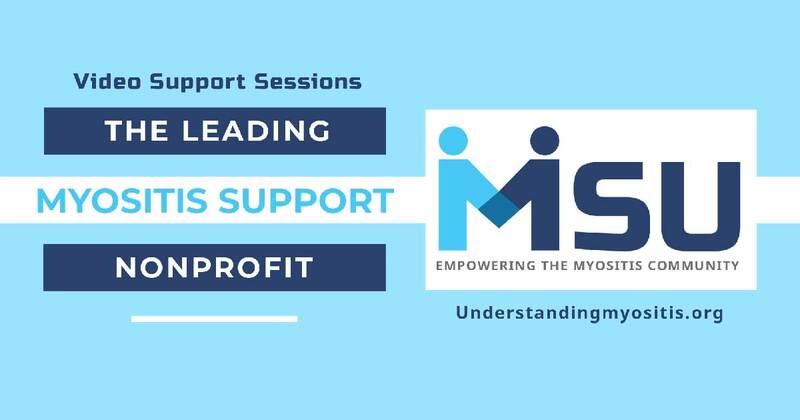 Educational Outreach – The President of MSU, Jerry Williams, has been invited to speak about MSU and Myositis at Idera Pharmaceuticals Pennsylvania location on May 25th. 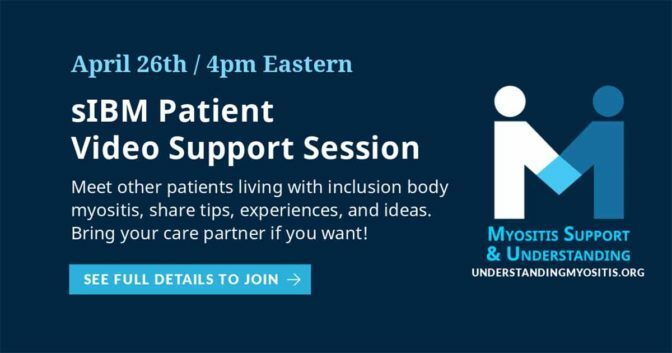 Jerry will speak about his experience in living with Polymyositis, discuss the other forms of idiopathic inflammatory myopathies (myositis) such as Dermatomyositis, Inclusion Body Myositis, and the Juvenile forms of Myositis, in an effort to educate and promote awareness to the employees of Idera. 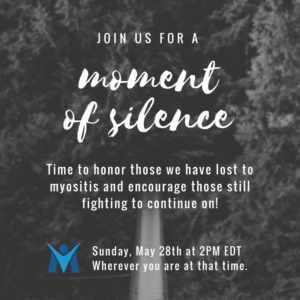 Heather Spadaccini, a friend and often care partner for Jerry, will speak about how frightening this disease can be and some of the complications she has witnessed along the way. As this disease affects everyone around us, hearing from a friend and care partner helps others to better understand this disease. 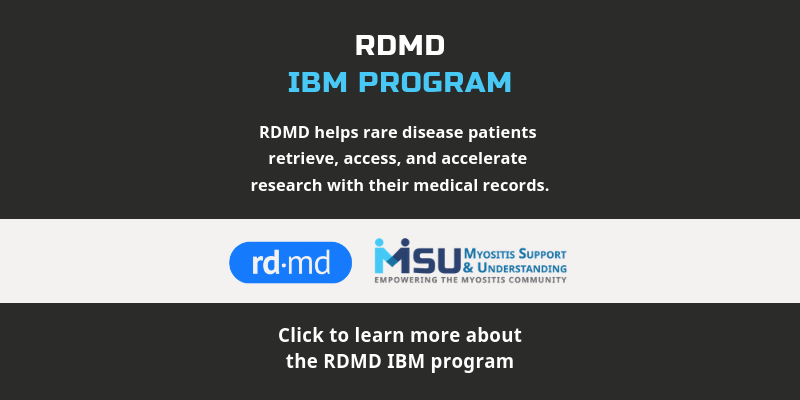 MSU collaborated with Idera on their clinical trial that is still recruiting for the experimental drug IMO-8400 for adults with Dermatomyositis. 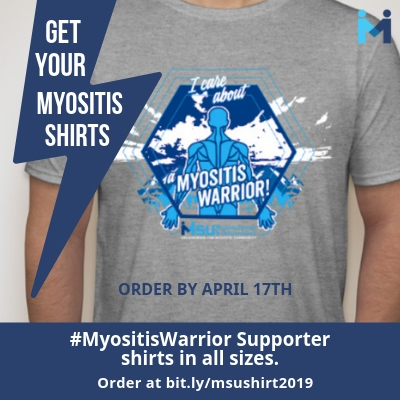 Order your Myositis Awareness Gear!